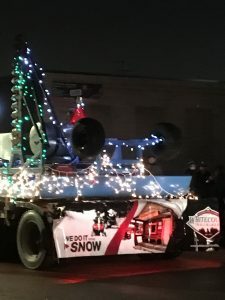 Sault Ste Marie attempted to break the Guinness World Record for the longest parade on February 1. 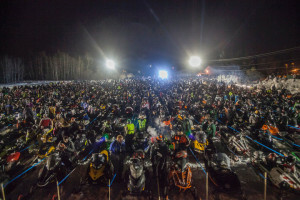 They came up short at 950 snowmobiles (unofficial). We still hold the record at 1047. 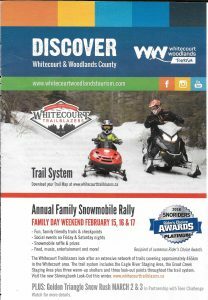 Way to Whitecourt Trailblazers!!! 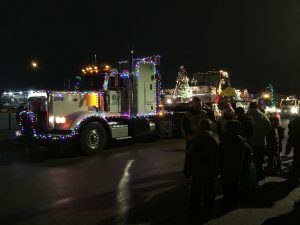 Great parade Whitecourt Chamber Of Commerce. The floats were awesome! Special thank you to our friends at SLH Picker Service and Pile Driving for hauling the snowcat and drag for us. We appreciate your services. Thanks to all of our volunteers for decorating and handing out candy during the parade. Thanks Jim for helping last minute with the snowcat and drag. Thank you SLH for also hauling the equipment to the shed. 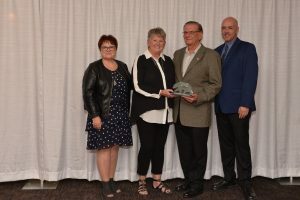 Congratulations Leo and Hazel on your volunteerism for our club. It is an accolade well deserved. Congratulations on your lifetime achievement award from Louise Sherren. Casino Volunteers Needed! We are very fortunate to be able to fundraise/volunteer for an AGLC Casino Event at the Apex Casino in St. Albert, July 28 & 29th-it is a Saturday and Sunday. We are looking for volunteers to help us out for the evening shifts 11:00pm to 3:30am (often we are out by 2:00am). We will pay gas, snacks and hotel if required. Please contact us ASAP as we are trying to complete the schedule before summer comes. Thank you to all of our volunteers!! What a season we have had! Thank you to Mother Nature! Both staging area gates have been locked. Have a wonderful summer everyone and see you next year!! Get the latest news delivered right to your inbox. 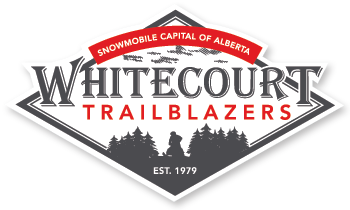 © Whitecourt Trailblazers. All Rights Reserved.